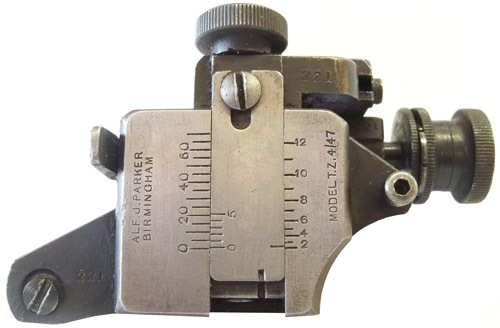 Alfred J. Parker Model Twin Zero 4/47. For sale within the UK. All matching numbers, this Twin Zero sight is fitted with the PH60 6 hole eye piece. Ref 2710.